Have you ordered your copy of the "By Request Only" 2-CD set yet? I received my order of By Request Only in today's mail. To say that I'm enjoying this disc is a huge understatement. It is absolutely FANTASTIC! 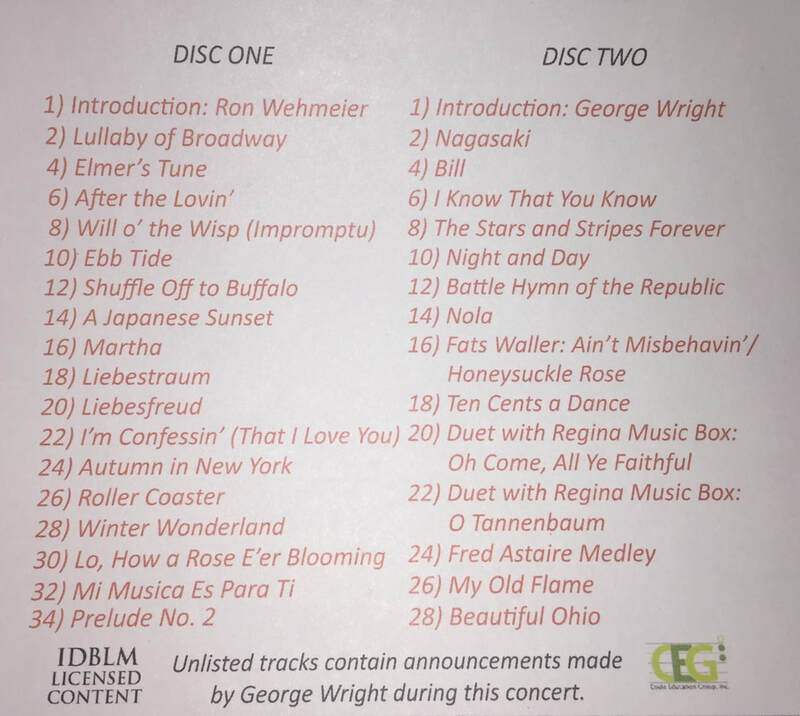 Not only is George's extemporaneous playing brilliant in every way, but his audience remarks are worth the price of the album alone. He is charming, warm, and downright hilarious. Thank you for releasing this musical treasure. I strongly recommend it to anyone who enjoys good music. It's not just for "organ people!" 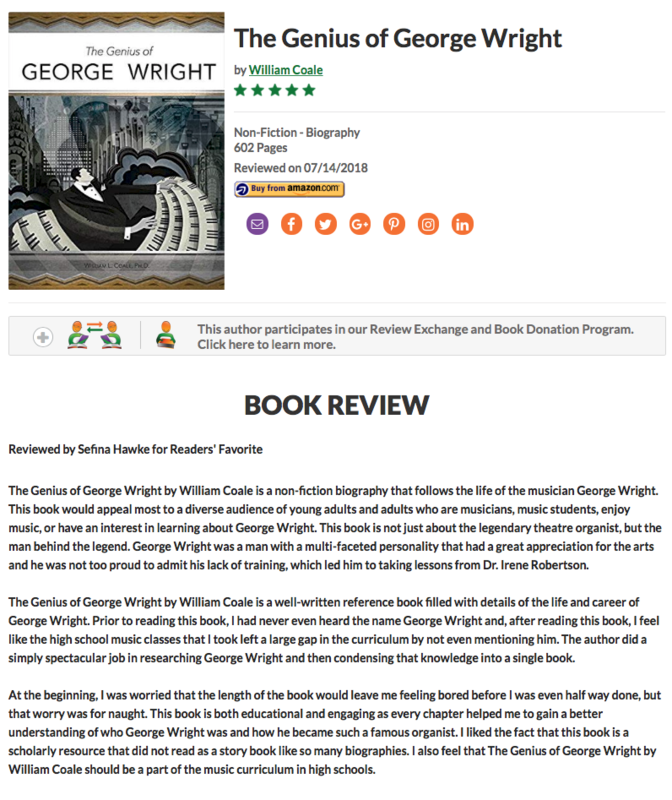 The authoritative biography of legendary theatre organist GEORGE WRIGHT. ​Order your signed copy today! DISCOGRAPHY from "The Genius of George Wright"
As time allows, additional GW photographs and images will be made available for purchase. Revenue will help keep this GW archive available for your continuing enjoyment! Thank you for your support! Click on BUY PHOTOS button above to access the current available items. "Hot Pipes" is now available again!!! Check it out in the "GW STORE"! and rights to all BANDA productions by GEORGE WRIGHT! Click on the "SHOP HERE" button or click on the "GW STORE"
menu item above to access the current inventory!